Four weeks down! This past week was pretty low-key, and I'm not sure what happened to my plan to use categories to add variety. This was definitely primarily a food week. 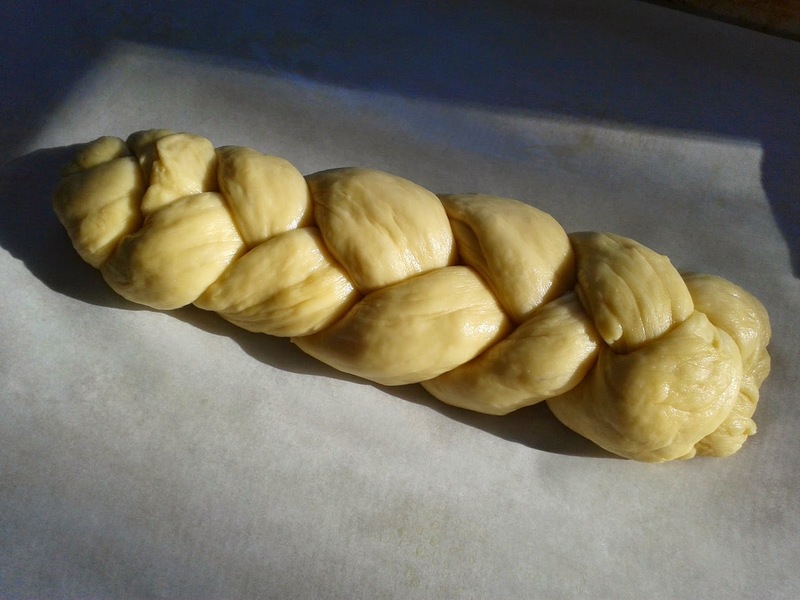 The hardest part of making challah is actually not the braiding part; for me, it's trying to get my ropes an even length and even thickness throughout. I was not successful at this, and you can tell. By the time I did the second loaf, it looked a little bit better. Can you tell which one I made first? The amount of sugar in the dough and the egg wash made the loaves brown really quick in the oven, but they weren't too dark. And yes, my afternoon consisted of enjoying a cup of coffee and fresh bread and butter. I used a couple of slices to make a sandwich for work, but as I packed it up I really wanted to eat it right away. I didn't. January 23: I read the last verse of each book of the Bible. It was actually more difficult to take away something meaningful than it was by reading the first verse. Something I noticed though was how Paul and some of the other writers often focused on the grace of Jesus in their closing greetings. January 24: Tired, almost forgot I had to learn something new, and was happy when my eye caught a link to an informative article on facebook pertaining to the health benefits of turmeric. I had known that turmeric fought cancer, but I didn't know some of the other things I learned. It heals cells and makes them more resistant, as well as kills cancer cells. It can heal inflammation and skin diseases. It can prevent and cure diabetes. Turmeric improves concentration and memory. It is also as effective as Prozac in treating depression symptoms. Turmeric has other benefits as well, but those are a handful. January 25: Sunday, wanting to relax, I made a cup of hot chocolate out of peppermint tea. I had noticed recently that McDonald's had a peppermint hot chocolate, and although I haven't tried it, I wondered one day if I could make something similar by adding hot chocolate mix to a cup of peppermint tea. Honestly, I didn't expect it to taste good, but I wanted to know how it tasted. To my surprise, it was actually quite tasty. It had a good chocolate flavour with a subtle minty taste to it. However, I did find the aftertaste rather unpleasant. January 26: In swim class, I was able to increase my distance on my back, and also do relatively well with my initial steps of the front crawl. I also went to knowledgenuts.com and found out that there is a common misconception that immigration officers changed the names of people coming into the U.S. through Ellis Island. I didn't know such a misconception existed. Although names changed, it didn't happen at Ellis Island. 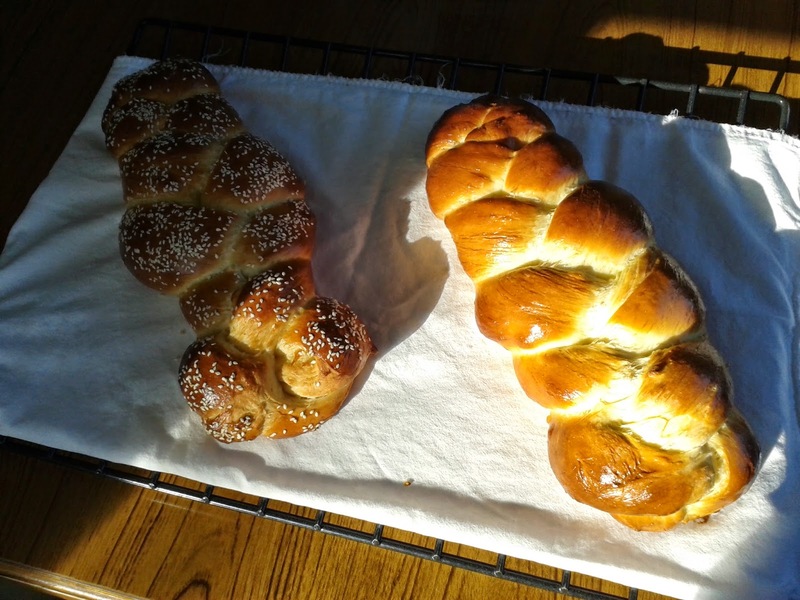 January 27: Tuesday morning was a pretty intense recipe experiment day. I tried two new recipes, with some modifications. I made a Winter Vegetable Soup. It called for parsnips, and I had never had parsnip before. I didn't really know what these big beige carrot-like vegetables were. I learned while making it that they were parsley roots. They smell the part. Anyhow, I also noticed the recipe said to put the soup in the blender once it's done. I don't think pureed soups are very appealing, but I thought I would try it. Anyhow, I put the carrots, celery, onion, and parsnips in the pot with broth, some seasoning and a bay leaf for good measure, brought it to a boil, let it simmer and dumped it in the blender. End result: orange baby food with fresh dill added to it. Or that's what it looked like anyway. I also baked chicken breasts in foil with olive oil, salt and pepper, lemon juice, dill and green onion, a modification of another recipe, and ended the meal with some challah. That was the really good part. The chicken is debatable, but I'm definitely not making the soup again. 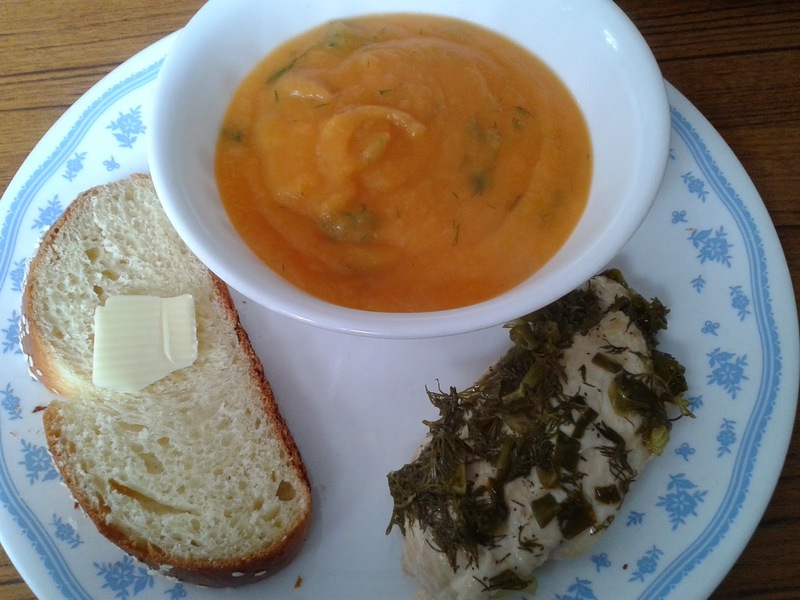 January 28: Wednesday's recipe experiment was a little safer and a lot more successful. 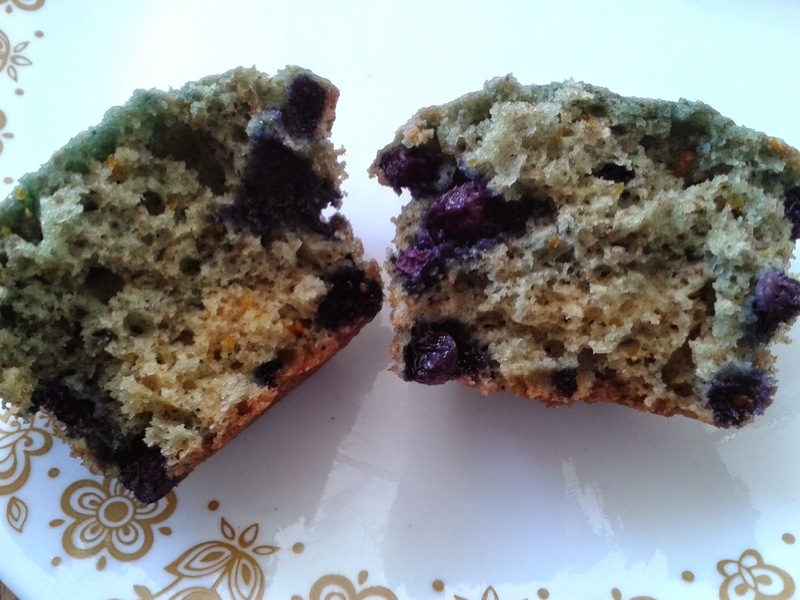 I took a Blueberry Orange Bread recipe and made it into muffins. Although not your typical combination for a muffin or bread, I thought it still sounded good. The recipe advised to begin draining the blueberries well in advance if using frozen blueberries, so I did this. Anyone who has worked with frozen blueberries may know that once they're fully thawed, you're pretty much left with shriveled mush and purple juice. Well, I mixed my batter, then added my soggy blueberries, leaving the juice behind. Some of you will know where this is going. I ended up with a purple marbled batter. I should have remembered my last purple fruit salad. Nevertheless, the muffins turned out beautifully! 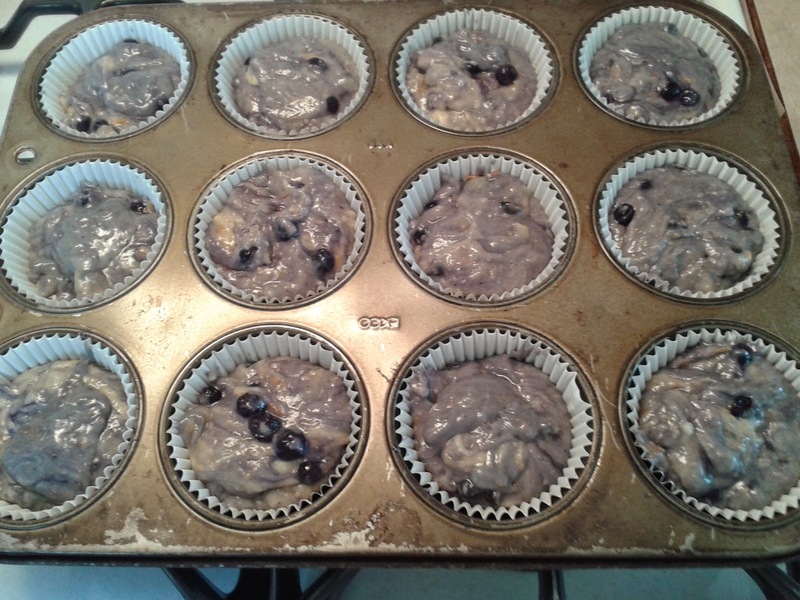 They're half whole wheat, with orange juice and zest, and blueberries. They're nice and fluffy and it's real hard to just eat one at a time. Who cares that they're purple? It may be hard to believe sometimes, but I do know how to cook. I really do. In closing, I want to leave you with some words that blessed me from a Passion talk this week. Labels: food, pictures, What Did I Do?